1. Purpose. The purpose of this document is to assist the Company Representative (CR) and the Assistant Company Representative (ACR). This document captures the functioning of CRs since June of 1958. 2. 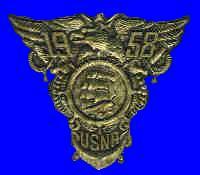 The Association of the United States Naval Academy Class of 1958 (The Association). The purpose of The Association is to maintain unity and fellowship among its members and to uphold the spirit and traditions of the United States Naval Academy and the Class of 1958. The Association is governed by a fifteen member Board of Trustees (the Board). The Class of 1958 Constitution and Bylaws guide the functioning of the Board. The Class Officers (President, Vice President, Secretary, Treasurer) administer the day-to-day Association business. Class Officers are also Trustees of The Association. The Corresponding Secretary and Webmaster, although not Trustees, are invited to attend board meetings as observers. 3. Company Representative Coordinator (CRC). The CRC, a Trustee of The Association, serves as the Board’s central point of contact/interface with CRs. The Board created the position of CRC in 2010 to enhance the class communications system. The goals were and are to provide the best possible support for and more rapid communications among CRs, company members, the Board and the Class. 4. Company Representative (CR). The CR, a dedicated volunteer, assists his company members, the Board, the Class Officers and the Class. He plays an essential role in the class communications system. In general, he maintains communications with the members of his company and serves as the communications link between the Board, Class Officers and the members of his company. The duties/responsibilities of a CR are spelled out in detail in paragraphs 6 (Communications) and 7 (Role of the CR and ACR). Since our graduation on June 4, 1958, CRs have been essential links in the chain that binds the Class of 1958 into a close-knit fraternity. 5. Assistant Company Representative (ACR). The ACR (a dedicated volunteer) assists his CR as needed and is prepared to assume the duties of his CR when the CR is unable to perform his duties. The role and duties of the ACR are spelled out in the paragraph titled “Role of the CR and ACR”. A. The need for ACRs emerged in 2011 as the average age of members of our class reached 75 years (a point in time that all too often is accompanied by increased medical problems). This need was validated during the planning and coordination phases of Reunion 55, when we discovered that members of three companies were not receiving reunion information because CRs were experiencing computer, health or scheduling problems. In the first case the ACR stepped forward, assisted the CR and turned the situation around. In the second case, there was no ACR and although attempts were made to recruit an ACR, those attempts failed; hence timely information did not reach company members. The third case involved a company in which the CR experienced scheduling conflicts that prevented him from devoting the time and effort required. Fortunately, he had recruited an excellent ACR who was prepared and stepped forward and did a great job managing the Company's requirements. B. Our military education and training taught us that one of the hallmarks of an effective organization is always having readily available fully qualified/prepared supernumeraries (in our case the ACR). A. To fulfill the role and accomplish the mission of the Association, the Board maintains lines of communications with classmates and widows of deceased classmates by way of the CRs, the Class website (http://1958.usnaclasses.com/), email messages and the United States Postal Service (USPS). B. The addition of an ACR for each company gives the class communication system the redundancy and backup that will ensure timely communications in event of the unavailability of the CR. C. The importance of maintaining lines of communication between the Board and Class officers and CRs and between CRs and their company members and widows cannot be overemphasized. (1) Maintaining communications with company members and widows of deceased company members and with the CRC. (2) Encouraging company members and widows to have email addresses and to inform the CR of any changes to their contact information. (3) Checking email messages regularly. (4) Responding promptly to messages from the Class President, the CRC, company members and messages regarding time sensitive projects. (5) Maintaining communication with his ACR to ensure his ACR is prepared to assist him or assume his duties in the event he becomes unable to handle a project. Likewise, the ACR should maintain communications with his CR so he can step forward and handle a project in the event his CR is unable to handle the project. (6) Forwarding to the President or the CRC information regarding death, serious illness, emergencies or other noteworthy information about classmates/ classmate's family members/widows that comes to the attention of the CR. E. The CRC distributes information to CRs, generally for CRs to further distribute to company members and widows (CRC messages for further distribution contain a "Please Distribute" comment). The CRC also communicates with CRs to obtain information for the Board, the Class Officers and reunion/special event committee heads. F. The President's messages are generally "All Hands" messages (i.e., all members of the class and widows receive such messages); hence, CRs should not forward them to company members and widows. 7. Role of the Company Representative and Assistant Company Representative. (1) He is knowledgeable of the duties/responsibilities of a CR, is familiar with the functioning of the organization of the Class of 1958 and is familiar with class projects. (2) He maintains communications with the members of his company and serves as the communications link between the Board, Class Officers and the members of his company. (3) He maintains current contact information programmed into his computer for company members, widows of deceased company members, the Class President and the CRC. The CR’s and ACR’s company contact data for each company member and widow typically includes: last name, first name, social name; current mailing address; email address; home telephone number; cell phone number and wife’s name. The contact data also includes notes indicating whether or not widows desire to receive information about class events, activities, deaths, etc. (4) Passes to members of his company information from the Board of Trustees and Class President regarding the Academy, the Alumni Association, the Academy Athletic Association, the Class of 58, Class projects and other information deemed of interest to members of the Class of 58. (5) Obtains information from company members for the Board to enable the Board to accomplish its mission. (6) Shares company contact data and information about class projects with his ACR. (7) Ensures that his ACR has and maintains in his computer the same contact information about company members and widows that he maintains in his computer. (8) Maintains frequent contact with company members/widows/ACR. (9) Encourages company members/widows to keep him advised of changes in contact information. Webmaster and for the Alumni Association's master database). (1) Serves as the point of contact for his company for planning, coordinating and executing class reunions. (2) Keeps company members informed of all aspects of reunions. (3) Coordinates the planning for a company event during a reunion if company members desire to conduct a company event. (4) If a company event is planned, the CR provides the CRC the details of the event to include the date, type event (e.g., reception, company party) begin/end times, location, cost, number of attendees, transportation needs and the name and cell phone number of the event coordinator. (5) Obtains information regarding the reunion attendance plans of company members, spouses, widows and guests. (6) The CR should create a company reunion spread sheet of attendees that includes a detailed breakout of the number of company members-spouses- widows - guests attending along with the name of the hotel at which each company member/ spouse/widow/guest will reside during the reunion. The CR provides this information to the CRC for the Reunion Committee. 8. Special Considerations for the CR and ACR. A. The contact data (with emphasis on email addresses and phone numbers) for each company member and widow that each CR and ACR maintains on his computer should be as current and accurate as possible. Such information should be entered into computers so that both the CR and ACR can rapidly disseminate information to company mates/widows of company mates and provide information to the Board. Typically, the CR and ACR each creates a group contact list containing the email addresses of each company member and a second group contact list containing the email addresses of each widow. B. The CR and ACR should strive to maintain close and frequent communications with each other. The CR should communicate to the ACR when he is unable or unavailable to respond to a Board tasking so the ACR can accomplish the tasking promptly. Further, each CR should have arrangements for the ACR to be notified in the event the CR becomes unable or unavailable, but cannot notify the ACR himself. C. When a CR responds to a tasking, he should include his ACR as an info addressee on his response message. Likewise, if the ACR is handling a project for his CR, the ACR should include the CR as an info addressee on response messages. D. When an ACR receives his info copy of a tasking, he should immediately communicate with his CR to ensure that the CR is able to respond to the tasking. If the ACR determines that the CR is unable to handle the task, the ACR should immediately “pick up the torch" and handle the task as expeditiously as possible. E. The CR and ACR should have computers with current software (e.g., Word and Excel) that permits viewing/downloading frequently used attachments such as Excel spreadsheets. F. The CR and ACR should also have cell phones. Cell phones are especially important during reunions. The cell phone enables the CR and ACR to rapidly communicate with company members; enables company members to communicate with CRs and ACRs; and facilitates time sensitive communications from the CRC and Reunion Committee members to CRs/ACRs.